CSM + Edutopia = AWESOME! 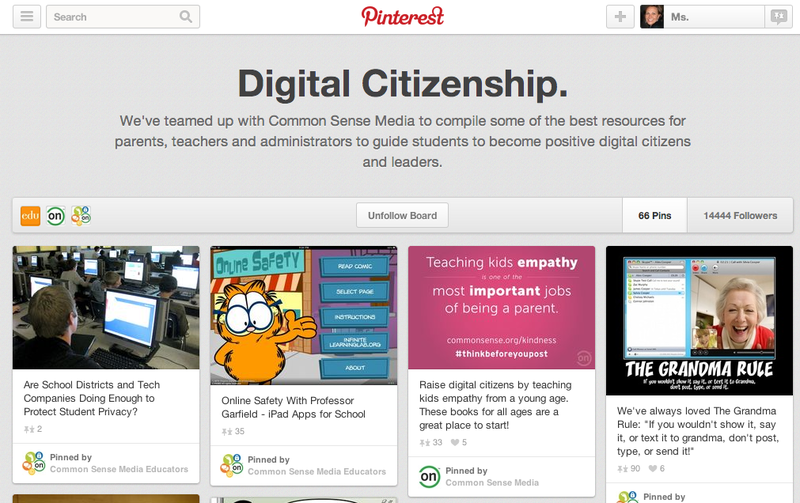 Common Sense Media has teamed up with Edutopia to curate a Digital Citizenship board on Pinterest. Yahoo! You now have two educational powerhouses contributing their expertise on these very important topics. And since it's Pinterest, it's presented in a fun, visually engaging way. 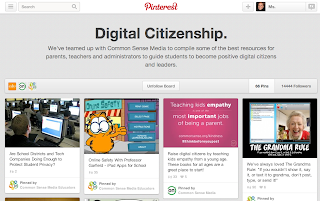 It's easy to spot good posters, infographics, or images that you can share with kids. Our vision for A Platform for Good is to start a dialogue about what it means to participate responsibly in a digital world. While recognizing the potential risks, we will celebrate technology as a vehicle for opportunity and social change. We hope to achieve this goal by providing parents and teachers with the resources to learn about and interact with new technologies, and by giving teens the ability to engage and teach their peers, family members, and educators. Through this approach, we hope to encourage good digital citizenship, responsible online behavior, and the use of technology for positive change and making a difference. Explore the site, visit its resource center, and tailor your results for parents, teachers, or teens. As we all know, the internet can feel like a firehose of information, and we just want someone to help us slow it to a manageable trickle. To that end, we try to share the best resources we can find. Have a suggestion? Leave us a comment!